CHICAGO –– The pen scribble marks on a light blue folder could have been drawn by a 1-year-old, although the girl who made them was 3. And yet, to a group of women from her neighborhood who admiringly passed the folder around a room, the scribbles represented a victory. Until recently, the girl had never before held a writing utensil, and her mother did not understand the importance of early childhood education. Now, thanks to these women, the mother did. Most middle class parents don’t need to be told that they are their children’s first teachers, and that the job starts at birth or even earlier. 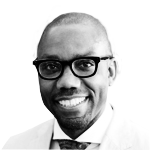 In poor communities, however, that knowledge is not necessarily a given. Latino immigrants particularly tend to trust the public school system to provide their children with the education they need, beginning in kindergarten, according to advocates and studies. Their role is to keep their babies safe, clean, well-fed and loved –– an attitude that can lead to children being nurtured but starting school irreparably behind. 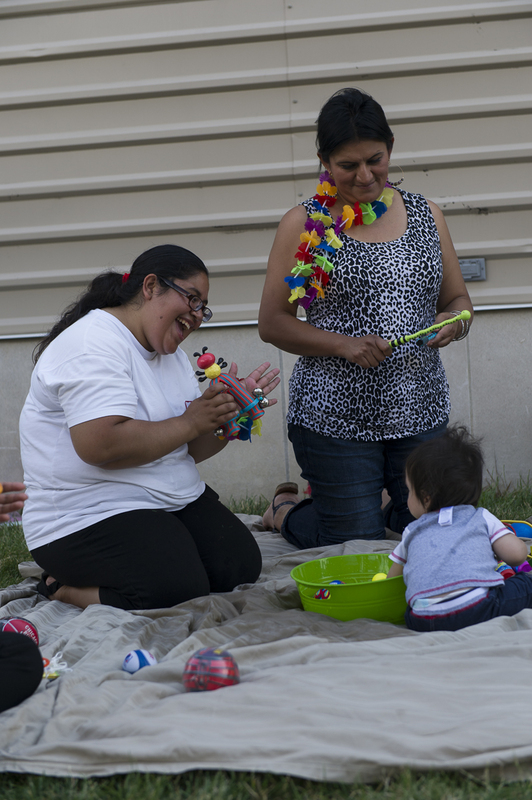 Here in Logan Square, a primarily Latino neighborhood in northwest Chicago, a grassroots community organizing effort is helping immigrant mothers to educate their friends, relatives and neighbors about early learning. Eight women –– seven Mexican and one Colombian –– are now leading organized playgroups as well as 10-week classes where parents and children learn simultaneously in different rooms. That’s where the scribbles were created. They also assisted in throwing a mass “birthday party” for neighborhood children where, amid balloons and face-painting, the real point was to provide parents information about their preschool options. 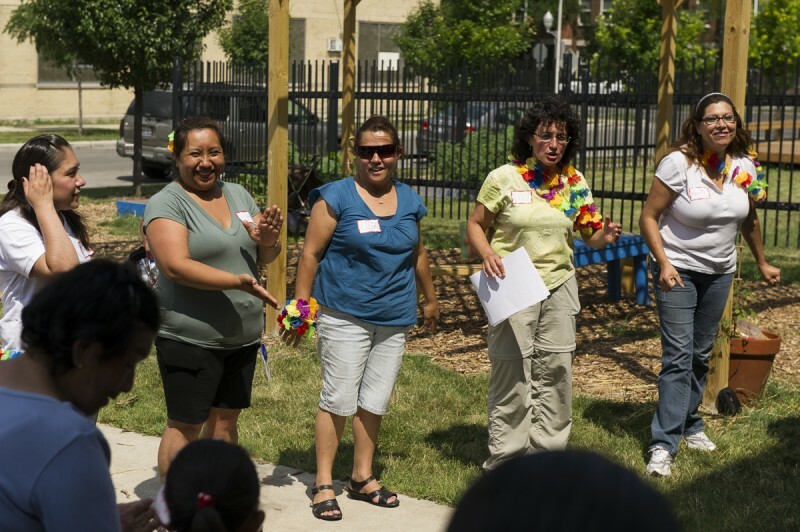 “It’s an awareness we’re trying to build while linking families to resources,” said Lucy Gomez-Feliciano, a Chicago native who directs early childhood work for the Logan Square Neighborhood Association. This month, Hillary Rodham Clinton announced a campaign to take the same message to Latino families nationwide. Her new Too Small to Fail initiative, funded by the Bill, Hillary and Chelsea Clinton Foundation, is partnering with the Spanish-language television network Univision to promote the importance of early childhood education, particularly reading, talking and singing to children at home to build foundational literacy skills. 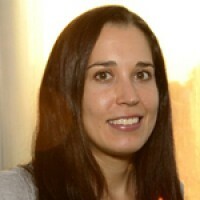 Ann O’Leary, who coordinates Too Small to Fail through the nonprofit Next Generation, said the move was prompted in part by a national study showing that Latino infants and toddlers are half as likely to be read to as their white peers and a third less likely to be sung or have stories told to. Among parents who speak fluent Spanish and are still learning English, a frequent source of confusion is what language to use with their children. Research overwhelmingly shows that the native language is best, a message that will be spread through Univision’s public service announcements and is already starting to get out in Chicago’s Logan Square. A national survey found that 26 percent of young Latino children had been read to in the previous week, compared with 41 percent of African-Americans and 58 percent of whites. 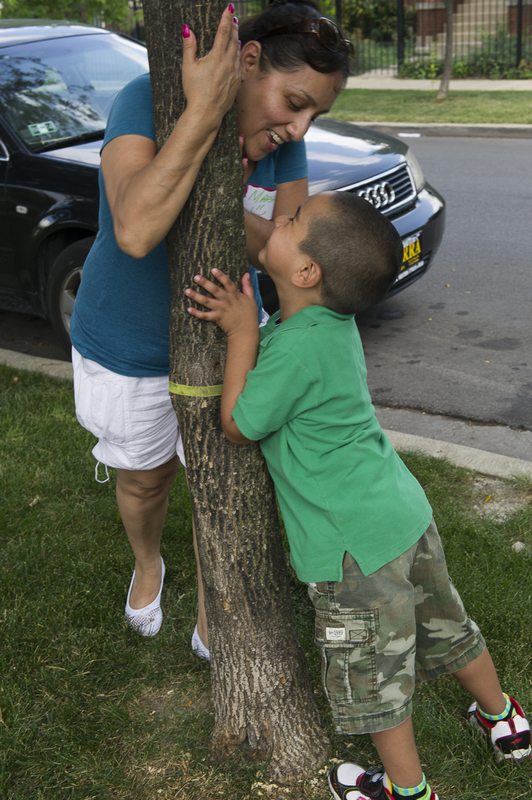 The Logan Square Neighborhood Association has been in operation since 1962, advocating on a host of issues for residents of a longtime haven for immigrants. In recent years, the group has gained attention for a program training parents to be mentors in their children’s elementary school classrooms. That program, profiled in 2012 by The Hechinger Report and NBC News, now has 120 participants placed in Logan Square public schools each year, and the model is being replicated with 600 parents statewide in Illinois. About 20 mothers have since undergone early childhood training, and eight now hold the title of ambassador and will receive a $950 stipend this semester. In a short time, they have started to create a buzz about early childhood education in their community, and yet their work illustrates some of the obstacles inherent in trying to change cultural patterns. As a group, the ambassadors have had limited education themselves; none has attended college. Most are stay-at-home mothers, but some of the original trainees had to leave the program because they needed paying jobs. Gomez-Feliciano, who worked for a decade in childhood obesity prevention before turning her efforts to early learning, hopes to eventually be able to afford to pay the women a sustainable wage. She is also trying to make it logistically easier for those interested in becoming preschool teachers to pursue that opportunity, arranging for community college classes to be offered in the neighborhood. She often pushes the ambassadors to do new things: speaking in public, approaching people they don’t know and confronting those they do know on behalf of young children. This provokes fear but also inspires confidence. Last month, the ambassadors did a presentation for all 120 Logan Square parent mentors, and they are leading workshops at community centers run by the neighborhood association. One ambassador, Aleida Arzeta, said at a recent meeting that her sister-in-law “was basically doing nothing” at home with her three kids. “I am constantly on top of her now,” she said. Another, Beatriz Morales, has started approaching parents with little ones at the laundromat to ask about the activities they do together and whether they are enrolled in preschool. Laura Barrios, a 31-year-old mother of three, was petrified to speak as a panelist at a breakfast the neighborhood association organized for Illinois legislators, particularly remembering her childhood as an undocumented immigrant. “When I stood up, it was like a feeling you can’t explain,” she told the other ambassadors later. “Emotions, just a lot.” Barrios, who is now documented, dreams of becoming a teacher and hoped to participate in the community college program, but she instead took a job last month as an aide to the elderly to help support her family. Gomez-Feliciano reminds the ambassadors that parents need to understand why it’s worth the hassle of getting their children to and from a pre-kindergarten program, particularly a half-day one, in the cold of a Chicago winter. (Some pre-kindergarten programs in Logan Square have waiting lists, but others have seats sitting empty. Preschool centers in the area offer full-day programs, but those in Chicago Public Schools are half-day.) When children have not attended preschool, kindergarten teachers must often spend months on their socialization skills, distracting from academics. Ideally, pre-kindergarten is the last stop on an early learning trajectory that begins when a child is born, or even earlier. A famous study in the 1990s found that a child living in poverty hears 30 million fewer words by age 3 than a child with well-off parents. This creates a gap in literacy preparation with lifelong implications and is why parents are urged to speak to children in their native language: They use more words that way. For parents who did not have a lot of formal schooling, teaching their children often seems like an intimidating and expensive proposition. Last June, Gomez-Feliciano flew in two trainers from Countdown to Kindergarten, a program run by Boston Public Schools. It had been difficult to find Spanish speakers equipped to lead a session on how to run educational playgroups. The two-day workshop focused on easy and affordable activities, from turning toilet paper rolls into imaginary binoculars to helping children write their addresses on a drawing of a house to observing nature and the outdoors. Isidra Mena, 31, there with her 2-year-old nephew and 5-year-old daughter, said the children were starting to recognize real vegetables at home because of what the playgroups were teaching them. Rosa Tafoya, 22, who had been coming all summer with her 3- and 5-year-old daughters, said the girls were doing better taking turns with each other, and sometimes they were choosing to draw with chalk on the sidewalk instead of playing video games. Still, changing habits can be hard. Over the winter, the ambassadors helped to run a 10-week class for families with children 5 and under called “Abriendo Puertas”, or “Opening Doors,” using a curriculum developed in Los Angeles. Twenty-two mothers originally signed up to participate with their children. In the end, nine graduated. (In a scheduling mixup, one of the two elementary schools where classes were located began offering English as a Second Language at the same time.) The ambassadors helped Gomez-Feliciano to organize a ceremony in December for the graduates’ entire families, featuring a buffet chicken and pasta dinner and giveaways of crayons and books such as Super Catarina y los Super Insectos. The next morning, the ambassadors sat in desks arranged in a circle at a local middle school, reflecting on the evening’s events. There was frustration over children and parents using cellphones during the ceremony; Abriendo Puertas does not cover appropriate media use, including television watching, and the ambassadors agreed that it should. One of the women, Remedios Martinez, was upset to still hear a mother say her daughter is too young for preschool. But there was also much to be proud of, from the group’s collaboration and support of each other to the attitudes and behavior they helped inform to the dental care they arranged for a child who needed it. One quiet little boy was starting to talk. The women applauded as they passed around the light blue folder with the 3-year-old girl’s scribbles. Although the girl is still behind developmentally, she was delighting in her newfound discovery of drawing. The women are planning a new session of Abriendo Puertas to begin in March. This time, a consultant who coaches them will sit in the back of the parents’ classroom observing rather than standing in front along with them. This time, the teaching will be their own.